The Safety Conference 2019, presented by SERTC and Skyfire, will be unlike anything the public safety world has ever seen. Bringing together experts in emerging technology, public safety UAS operations, thermal imaging, robotics, and public safety professionals, SafeCon19 will be the first fully-integrated tactical emerging tech and UAS event for public safety. Attendees will have a once in a lifetime opportunity to see, touch, and experience the latest public safety technology. From UAS and robotics to software, SafeCon19 is the world’s premier public safety technology conference. SafeCon19 is packed with integrated tactical exercises. Three full days covering four units, with general sessions, group lunches, unit-building activities, and networking with the best minds in Public Safety technology. 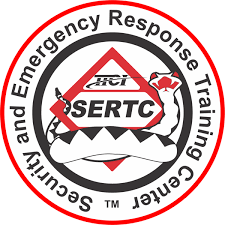 SERTC will be presenting 4 additional certified classes at the Pueblo Convention Center on June 5 & 6. Skyfire is offering special pricing on Blanket COA filing for attendees, as well as free consulting appointments with our in-house drone program coordinators. PAY FOR BLANKET COA FILING THROUGH THE REGISTRATION PORTAL. CONSULTING APPOINTMENTS ARE FIRST COME FIRST SERVE DURING THE CONFERENCE. Flight exercises will be held at the Security and Emergency Response Training Center (SERTC), a 52-square mile, secure and remote site with a vast array of specialized laboratories and tracks. Hotel accommodations will be at Courtyard Pueblo Downtown 30 minutes from SERTC. Free shuttles will be available every day between the resort and flight location. Use button below to book at special rate! Public safety professionals will get hands-on and classroom training in techniques such as thermal imaging, best on-scene practices, data streaming, integrating UAS’s into the Incident Command System structure, 3D mapping and accident scene recreation, and much more! We get it. Commitment can be scary for all of us. Let’s take it slow with an RSVP, and then you can chat with your Chief and get the go ahead. Fair? Good. Now, just drop your email below.